There’s no way around it. Barbecue is a very time consuming hoby. 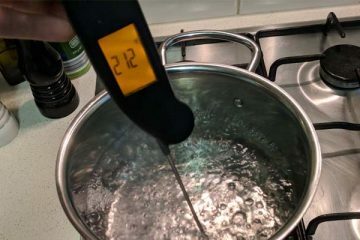 But so long as you’ve got your temperature under control and your thermometers setup you might as well take advantage of that down time. And what better way to whittle away the hours waiting for your brisket to finish than reading about barbecue! 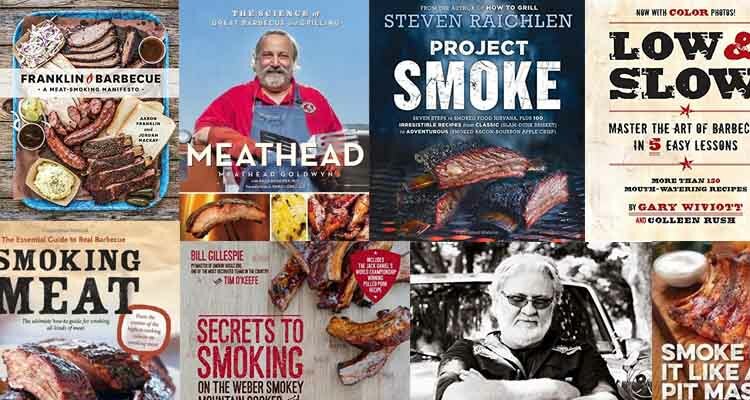 We’ve pulled together the best barbecue books to help you keep your bookshelf well stocked. Whether you’re just starting out and need to brush up on the basics, want to learn new recipes or just love to learn about barbecue culture, you’ll find something great to read below. If you are looking for an all around book that’s great for getting started or just to learn some new skills then this is the one. The recipes are all excellent and can be easily followed on a variety of different types of smokers. As an added bonus you get a lot of good information about different types of smokers, what types of wood go well with different meats. If there’s one knock against this book, it would be that the recipes veer too far away from ‘traditional’ smoking. While this makes the book more interesting in our opinion, if you’re set on nailing the perfect traditional recipes then maybe look to the next book on our list. Get the latest price from Amazon. In 2009, Texas native, Aaron, and wife, Stacy set up a little roadside trailer in Austin, Texas and the rest is history. 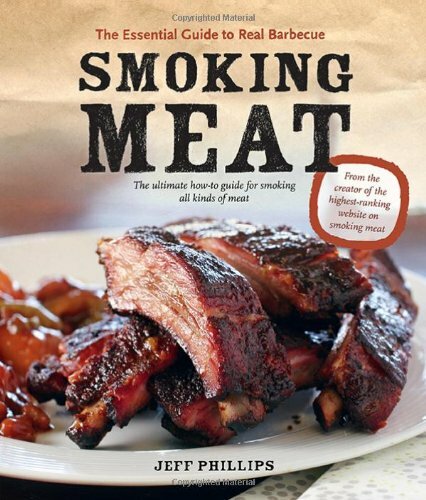 Unlike a lot of other smoking books, this one is more about the process of great barbecue. While you will find some recipes, if that’s all you want then you might be a little disappointed. The book also covers some of Aaron’s background and how he became such a successful businessman and restaurant owner. The book is a fun read and both authors clearly have a great sense of humor. If you can’t make it to Texas (or don’t want to queue up for hours) to taste his barbecue, then this is the closest you’ll come. This indispensable book is co-authored by Jordan Mackay, the wine critic for San Francisco magazine. 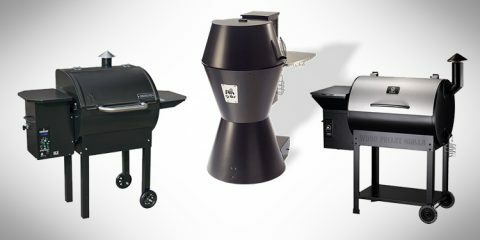 We are huge fans of the Smokey Mountain cooker. And if you’ve purchased one recently then we highly recommend grabbing a copy of this book. Because the recipes are tailored just for the WSM, it eliminates a lot of the guess work and modifications you have to make when following other recipes. 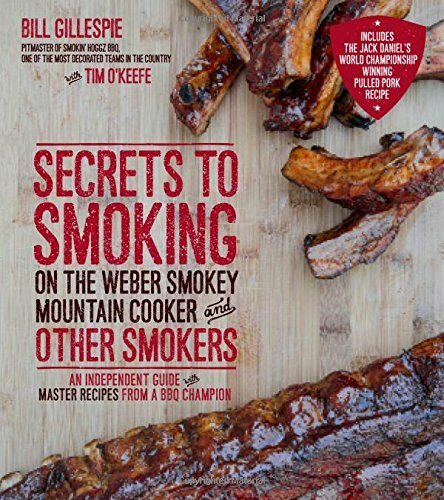 Bill is a winner of the two most coveted smoking contests in the country and this book tells us the secrets. 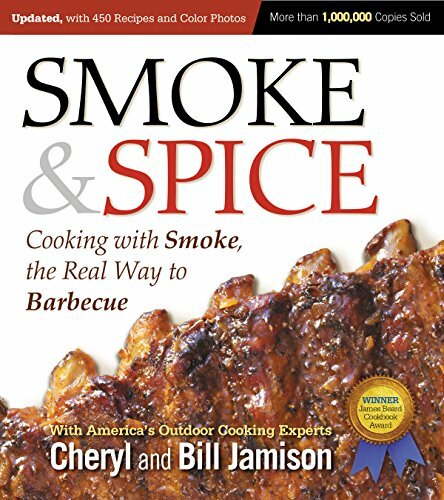 Great for beginners with guides to seasoning the smoker, and lots of tips on getting the most of your barbecue. 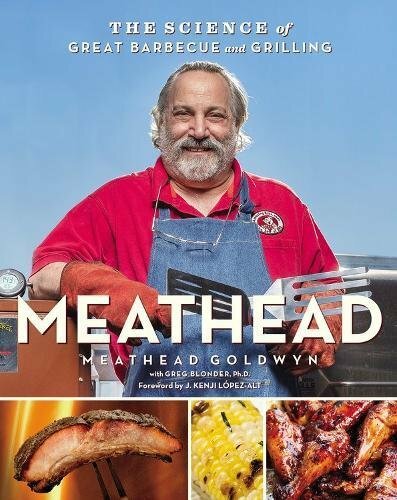 If you’ve read any of our other articles you already know we are huge fans of Meathead (Craig Goldwyn) and his website amazingribs.com. The sixty-five-year-old started the blog, on a whim over 10 years ago, and it is now the world’s most popular site for barbecue and grilling. Dr. Greg Blonder (physicist) acted in an advisory capacity at amazingribs and co-authored this book which features the following. Bone-in steaks are better, or are they? Sear before you cook, or do you? If you want to deepen your knowledge of barbecue this is an excellent book for you. 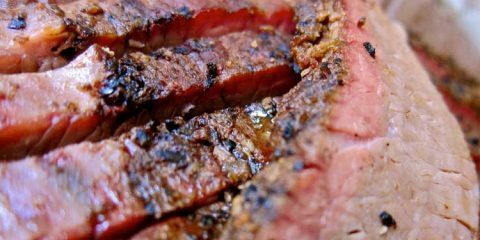 It’s an easy read, and Meathead takes a no BS approach, and loves to use science to break down common barbecue myths. If you follow the old school advice, then you may find this book annoying, as it breaks down a lot of myths. You can also find a lot of the material on his website, but having the physical copy to thumb through is well worth the small investment. This is definitely one of the classics when it comes to barbecue cook books. This is an update on the original which was published way back in 1994. Both Cheryl and Bill are culinary experts and are willing to share their award-winning knowledge with every griller from pit masters to backyard grilling enthusiasts. For those who complain that most books don’t have any recipes, you’ll be spoiled for choice here. All the main barbecue regions are covered. There’s also a good section aimed at beginner pit masters that gives you a lot of detail and background knowledge. 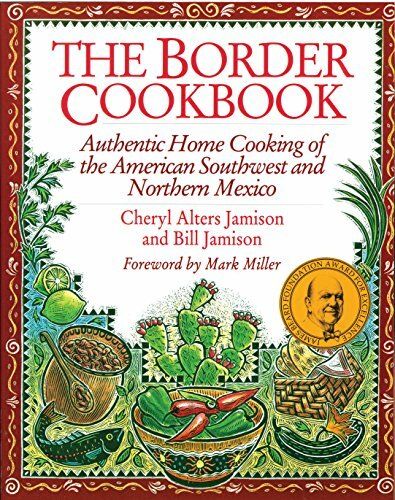 Experts Cheryl and Bill are at it again, this time bringing us an award-winning book with those tasty southwestern and Mexican flavors to our kitchens. 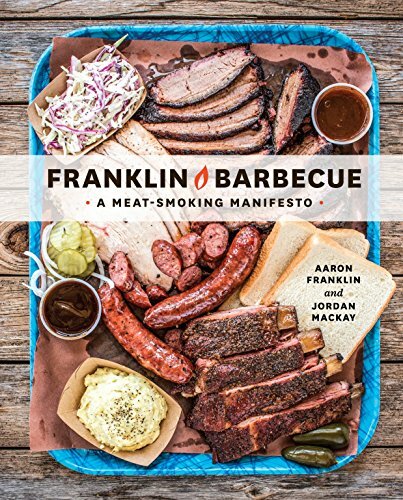 You are probably asking why we decided to include a book like this in our guide to barbecue cookbooks. Sure it’s not focused on barbecue like Smoke & Spice is, but branching out is a vital part to becoming a great cook. 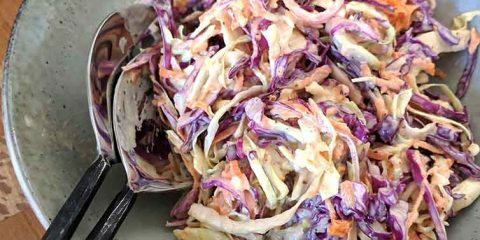 If you want to get creative and stop churning out the same boring dishes to go with your barbecue then this is a great choice. Cheryl and husband Bill were initially travel writers until they took on the assignment that turned into The Rancho de Chimayó Cookbook. The two cashed in over 400,000 frequent-flyer miles and spent three glorious months traveling the world to find good food. A native of North Carolina, Jeff has a very popular website, smoking-meat.com where he has gathered a ton of information. This book claims to be the “ultimate how-to guide” and we found it lived up to the name. This is a great book for beginners; you get simple recipes and the reasons behind each of his recommendations. These methods also allow you to put your individual taste twist to each meal. This is definitely more suited for people that a new to smoking. The first couple of informational chapters should be considered required reading for all new smoker owners. Gary started out with an excellent online tutorial that launched him into an incredible career as a barbecue god. This is another book aimed at beginners. If you follow it from the beginning it can take you from a beginner whose never touched a smoker to a confident pit master. 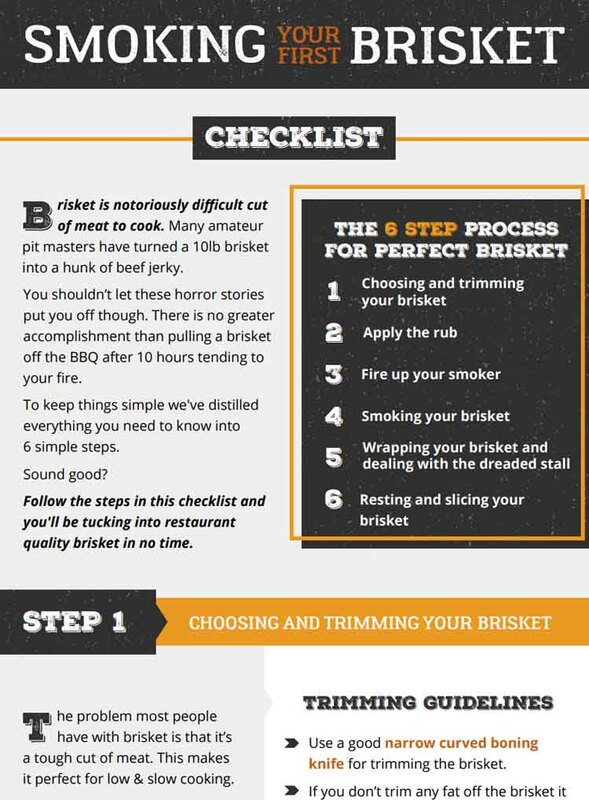 This is a great reference to have on hand as well, and you’ll find yourself referring back to it often as it really focuses on the process of great barbecue. 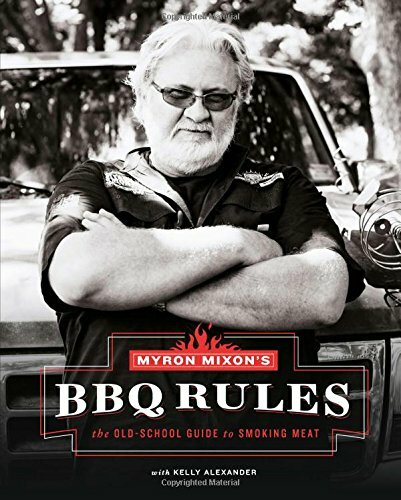 Myron is a best-selling author and when he says “old-school” he means business. You’ve probably seen him on shows like America’s BBQ Rules and BBQ Pit Wars. Myron goes through a lot of step by step instructions, aimed at backyard pit masters. This man does have a large ego though, and if his persona on TV annoys you, you’ll probably find this book annoying as well. 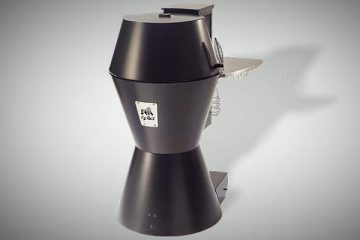 While we are partial to charcoal smokers around here, we know a lot of you electric smokers are out there too. 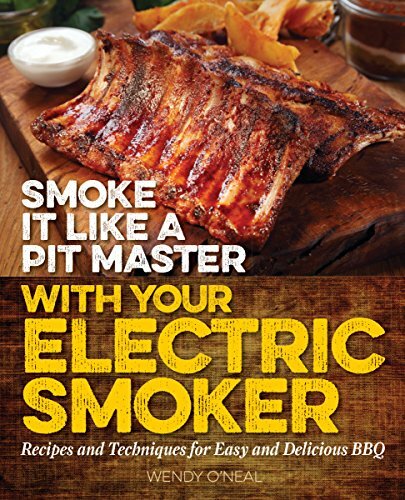 Since there’s not as much technique involved on an electric smoker, this book focuses more on the recipes. This book will get you cooking family and friend impressing barbecue with minimal effort. You may already associate Phoenix, Arizona resident, Wendy with her Around My Family Table blog which began in 2009. She has also been a competitor in the World Food Championship. 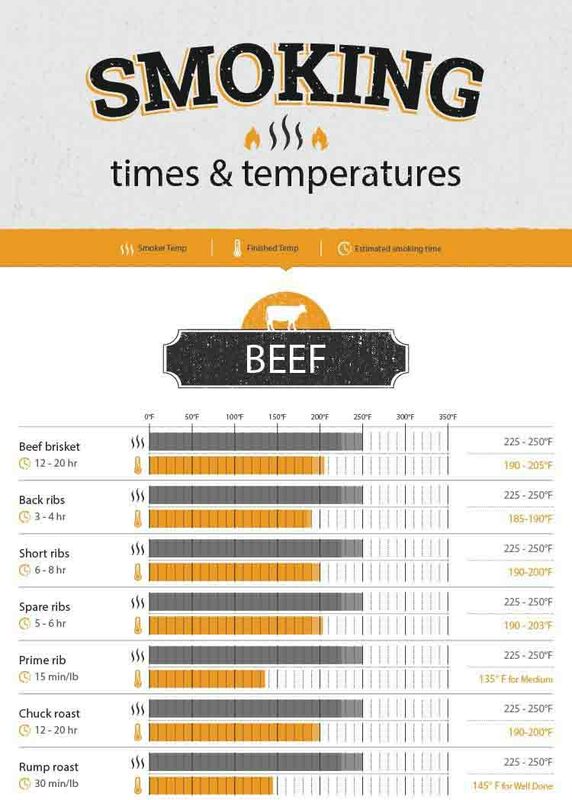 Luckily for us barbecue has experienced a rapid rise in popularity over the last few years. 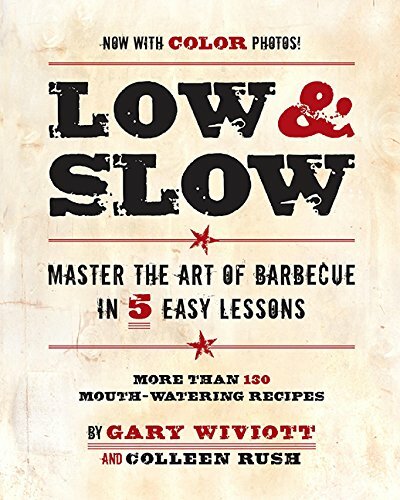 It wasn’t that long ago when it would take years of trial and error to master the art of low and slow. Now days it seems like there is a new book published every week. 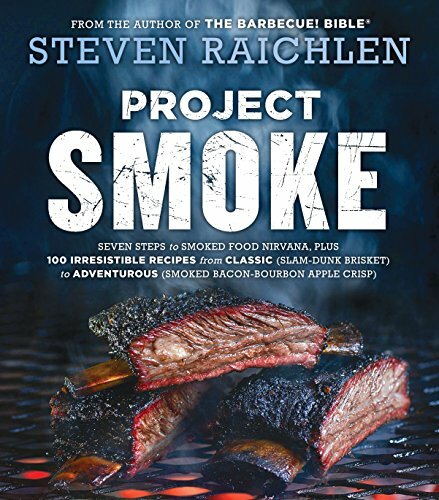 With both the old school guys like Steven Raichlen pushing out new content, and the new kids on the block like Aaron Franklin and his excellent meat smoking manifesto we are truly spoiled for choice. 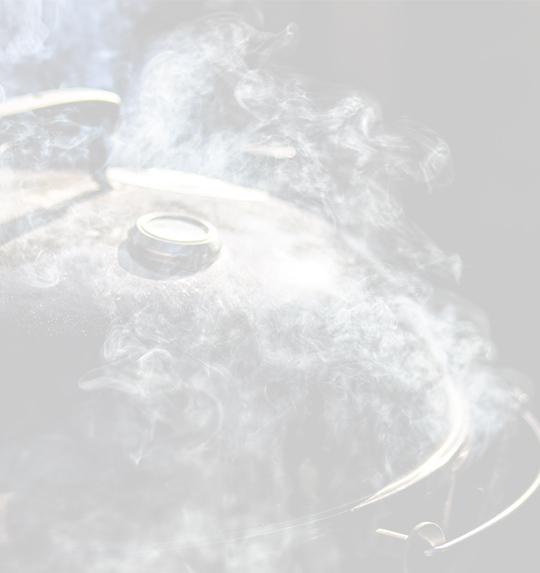 I would assume if you’re reading this you already have a smoker, but if you’re just getting started and need some help choosing a good smoker then check out our guide to the best beginner smokers.